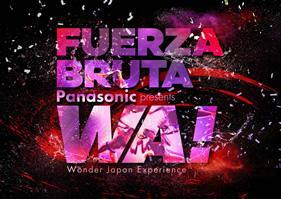 Tokyo, Japan - Fuerza Bruta brings the experience-type entertainment "Panasonic presents WA! - Wonder Japan Experience" (sponsored by WA! Japan Performance Production Committee) to the Stellar Ball in Tokyo for a two-month run, August 1 to September 30, 2017. Panasonic Corporation will be a major co-sponsor and provide technological support as well as financing to the production, which will include a trial of Panasonic's spatial performance solutions, focusing of video and moving images. 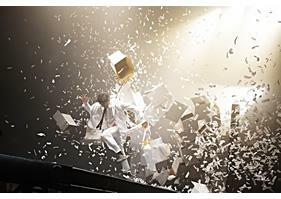 Fuerza Bruta has already been experienced by over 5 million people around the world, having been performed in over 60 cities in 30 countries, including a long run Off-Broadway in New York City, USA. 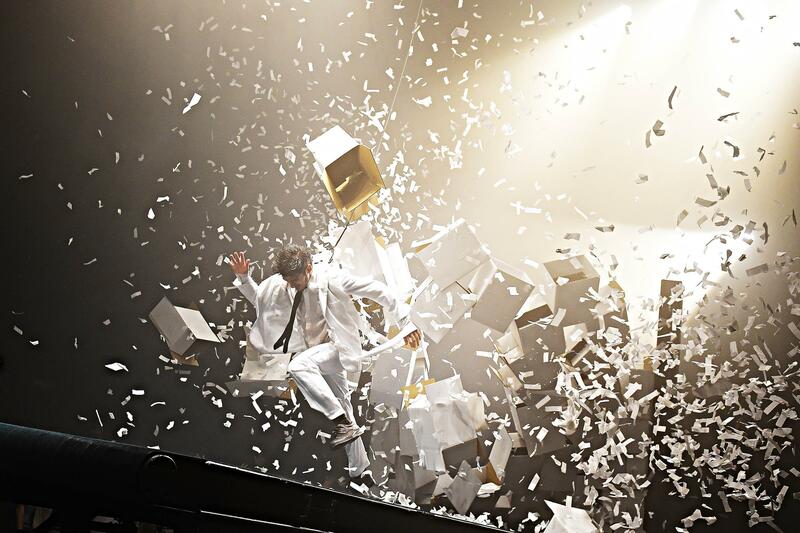 Fuerza Bruta first came to Japan in 2014, with over 60,000 people experiencing the performance held at specially-prepared theater in Akasaka, Tokyo. Their new creation, an original performance based on the theme of "Japan," will have its world debut in Tokyo in the summer of 2017. 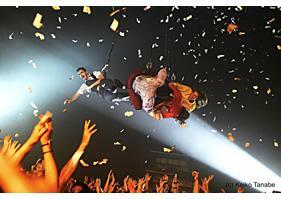 This ultimate entertainment experience features performers flying about freely in three dimensional space surrounded by light and music as led by Artistic Director Diqui James, world renowned for performances that are not confined to pre-existing norms. Panasonic holds the worldwide No.1(*) share of high-brightness projectors over 5,000 lumens, and the theater will use eight of Panasonic's PT-RZ970JB 10,000 lumen (Center) professional projectors in the performance. The PT-RZ970JB's high-brightness, energy-saving capabilities, compactness, and strong geometric adjustment technologies support a three-dimensional projection performance for this special stage. Satoshi Takeyasu, Executive Officer in charge of Panasonic Corporation's Corporate Communications, Advertising and Citizenship, commented on the co-sponsorship. "Panasonic expects that the entertainment industry has great potential for growth. 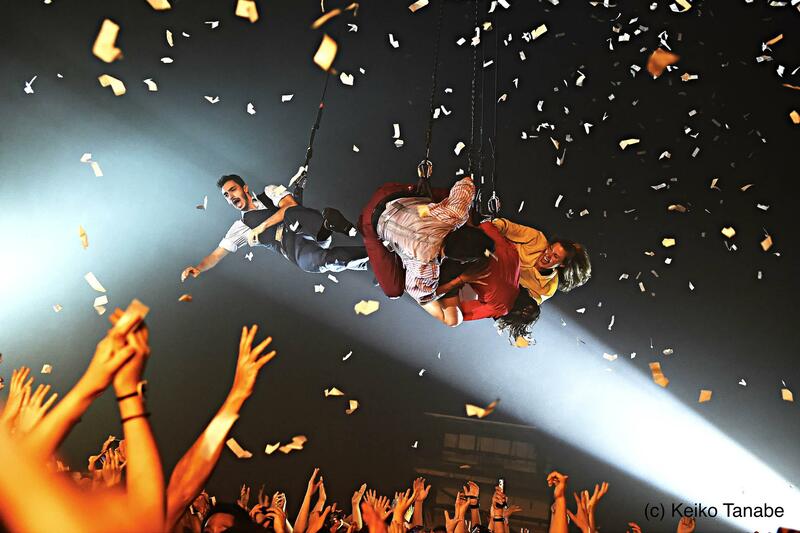 With avant-garde shows such as Fuerza Bruta garnering success throughout the world, theaters and theme parks have also been looking closely into new customer experiences. Panasonic has also been the subject of rising expectations as a technical partner." 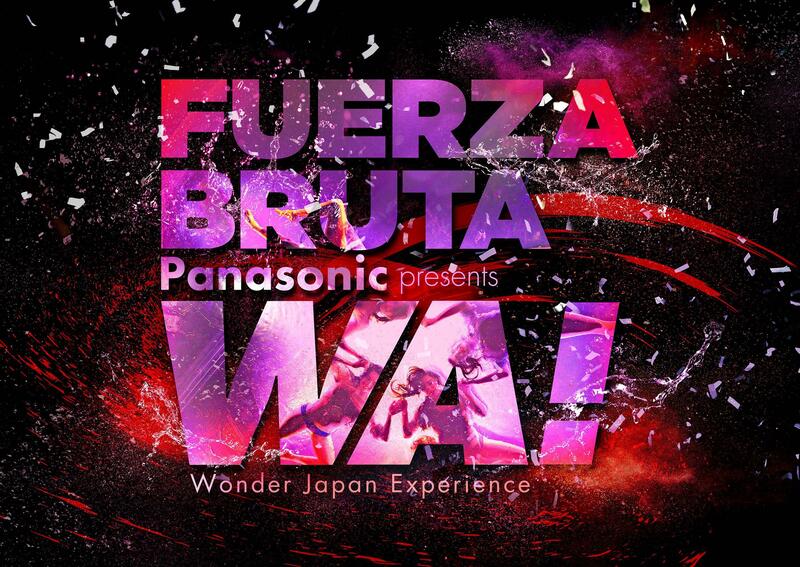 Just as with Fuerza Bruta "Panasonic presents WA! - Wonder Japan Experience," Panasonic will contribute to the entertainment industry by making full use of its visual, audio, and sensing technologies to provide customers with fun experiences inside and outside of the theater. Too busy to catch up on our news? Here are the TOP 5 most engaged posts for October 2018.